Typically in the news you hear about the richest men and how they made their fortune but with the exception of a few powerhouse women, the richest women in the world do not get much notice. 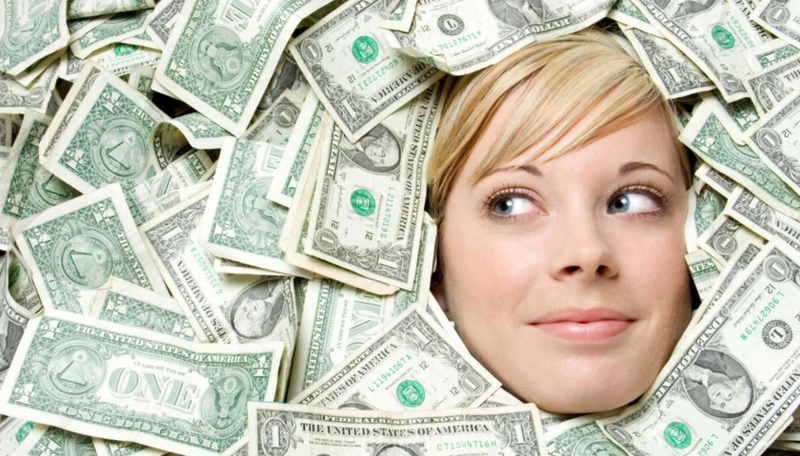 This article turns the tables and shows just how much the richest women in the world are worth and how they made their fortune. Many of these heiresses have managed to turn their inheritances into even bigger fortunes. Liliane Bettencourt is the principle shareholder of L’Oreal cosmetics. Her father started the company and Lilliane worked as an apprentice with the company at the age of 15. She inherited the company from her father and maintained a majority stake even after the company went public. Alice Walton is the daughter of Sam Walton of Walmart. She is the biggest philanthropist in her family She did not just inherit her father’s fortune, she also made a name for herself working in the financial industry. She also became a driving force behind the construction of the Northwest Arkansas Regional Airport. Jacqueline Badger Mars is the heiress to the Mars fortune. Mars is the largest candy company in the world and Jacqueline shares the company with her two brothers. She also earned a degree in Anthropology and had three children. Today she is one of the richest women in the world. This Australian gets her fortune from the iron ore and coal projects in the western and northern parts of Australia. The iron and coal was discovered by her father and she inherited her fortune to become one of the richest women in the world. There is currently a trust battle underway between Gina Rinehart and her children over control of the family trust. Suzanne Klatten is the richest woman in Germany and is the majority shareholder for Altana. Altana is a pharmaceutical and chemicals manufacturer and during her time on the supervisory board, the company has become a world class corporation. In 2006, the company sold its pharmaceutical activities and in 2009 Suzanna bought nearly all the shares of the remaining shares in Altana. Abigail Johnson is President and Chief Executive Officer of Fidelity Investments. Her grandfather founded the company and her father is the current chairman. Abigail earned her MBA from Harvard Business School and worked her way up through Fidelity Investments. She started as an analyst and portfolio manager. Anne Cox Chambers is the heiress of Cox Enterprises a media empire that was built by her father. However, the large corporation was not the only ambition of Anne Cox Chambers. She was also an ambassador to Belgium and director of the board of the Coca-Cola Company. Cox Enterprises owns Cox Communications, several newspapers, television and radio stations, and Manheim Auctions. Laurene Powell Jobs is the co-founder of Terravera which is a natural food company. She also served on the board of directors of Achieva. In 2011, when her husband Steve Jobs passed away she gained a 7.3% stake in the Walt Disney Company and 38.5 million shares of Apple, Inc. She is ranked by Forbes at the 29th most powerful woman in the world due to her political influence, her fortune and her philanthropy efforts. Johanna Quandt is a major shareholder in BMW and sat on the supervisory board until 1997. She became the major shareholder after the death of her husband Herbert Quandt who brought BMW back from bankruptcy. She started out as a secretary in Herbert Quandt’s office before becoming his personal assistant and then eventually becoming his wife.